The power to manage your CDR credential, now available in pocket-size. 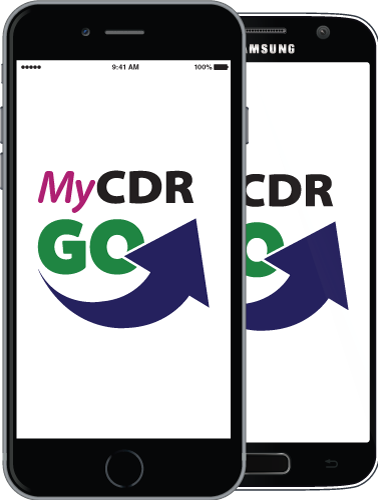 Introducing MyCDRGo, the brand new app from CDR for keeping track of everything from logging activities, paying fees, even completing CPE quizzes from the Journal of the Academy of Nutrition and Dietetics. To get this app, please access this page using your mobile device and click one of the links below.